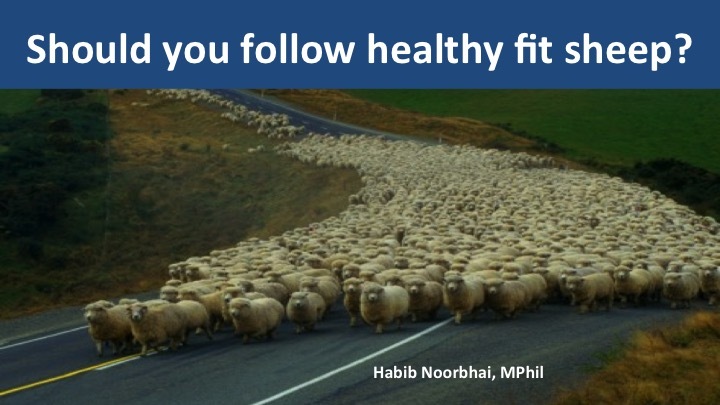 Should you follow healthy fit sheep? In the health and fitness field, there is no on-size-fits-all approach. Today, we often impose a generic approach to a lot that we do on a daily basis. The fundamental question that we need to address is: should we follow the healthy fit sheep? This eBook aims to demonstrate, explain and provide analogies on the why, what and how to live a consistent and individual lifestyle with the scientific evidence that goes with it.